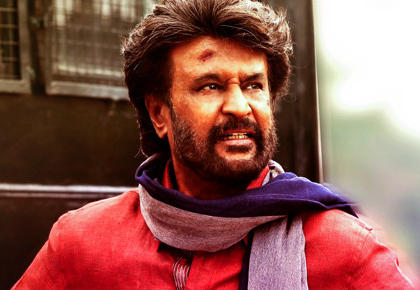 The first thing that comes to your mind when you watch Petta is how young Rajinikanth looks! When we go into flashback mode, he becomes even younger. It's like Rajinikanth has turned back the clock and is treating us to the vintage Rajini of the 1990s. The swagger, the trademark mannerisms -- like popping a cigarette into the mouth -- are all there. Then, there's endless action where he beats up innumerable baddies all by himself. What's different is the *way* he beats them up. He uses a nan chakku as fast as Bruce Lee. And if you have any doubt about who he is emulating, there's a picture of Bruce Lee on the wall. There's a saying in Tamil, 'Vallavan ikku pullum ayutham', which means that for the valiant, even a blade of grass is a weapon. So we see Rajini using various objects in our daily lives as effective weapons. Another reason the film reminds us of the 1990s is a transistor that the hero keeps with him at all times. And every time he switches it on, the songs belong to the 1960s. The music has been scored by Anirudh, and he does a very good job. The songs are rhythmic and make you want to break into a dance. And Rajini's dance moves look like he has been watching Prabhu Deva very closely. He cannot match that speed, but he definitely matches the moves. It's mind-blowing and it's hard to believe that the man is nearing 70! The background music is made to order. There's a certain kind of music when Rajini walks, when Rajini fights and when Rajini looks at you. It probably helps when everyone, including the director and music director, are your fans. Vijay Sethupathi, who has come into his own with movies like 96, leads a gang. Though Rajini doesn't comment on the gang marrying off couples found together on Valentine's Day, he does fight them at every opportunity. Sasikumar plays Rajinikanth's friend in a flashback. The pretty Trisha also appears in the flashback. Playing Rajnikanth's heroine in that part of the story, she looks like she's enjoying herself in her brief role. The other leading lady Simran is introduced as a single mother of the very pretty, Megha Akash, Rajnikanth's other love interest. Both heroines get their song sequences and not much else. In Tamil Nadu, when you are paired with Rajini, you know you have arrived. Bobby Simha plays a good villain at first, but transforms into something else later. Nawazuddin Sidiqui has been promoted from the character he played in Gangs Of Wasseypur. There, he was the gunman. Now, he's directs an endless supply of gunmen. Kudos to Director Karthik Subbaraj for bringing back the Rajini of the 1990s, as well as getting the best out of the stars brought together in the movie. The setting is very beautiful, as the film travels through Uttar Pradesh, Himachal Pradesh and Tamil Nadu. There are a lot of references to the characters in Rajinikanth's films like Kaali, Mangalam, Anwar and Michael. Even 'Chittu' -- reminding us of his famous Robot -- makes an appearance. There was a time when there was a Rajini movie release once in two years. His last release 2.0 is still playing in theatres. But see the crowds milling into the theatres and you will realise that people *want* to watch him in as many movies as they can, and still, want even more. 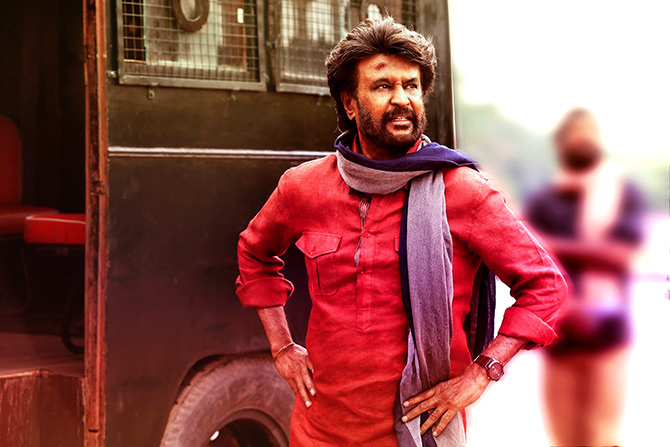 Petta never drags even for a moment through its 171-minute length.